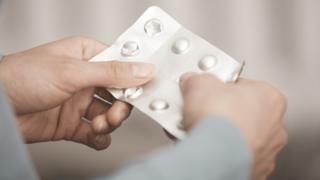 The Police Service of Northern Ireland has carried out a number of searches and seizures connected to the illegal purchase of abortion pills online. The searches took place last week. The sites included the office of women's rights activist, Helen Crickard. Det Supt Bobby Singleton said abortion was a "sensitive issue that divides opinion within society". However, he added where an offence has been committed, the PSNI had a duty to bring offenders to justice. At the weekend, the Sunday Times reported that Ms Crickard's office had been searched along with another address in Belfast. No pills were found during the search at Ms Crickhard's office. The newspaper said the PSNI "invited" about 12 people for interview. A woman whose office was searched in an investigation into the online purchase of abortion pills has said she feels violated and shocked by what happened. Helen Crickard, who is a pro-choice campaigner, said the suggestion that she had abortion instruments made her feel like a back street abortionist. No pills were found during the raid. The searches were carried out on International Women's Day. As celebrations and rallies were taking place around the country on 8 March, police officers arrived at Ms Crickard's workshop in south Belfast. In a statement on Monday, the PSNI confirmed it had conducted "a number" of searches last week in "relation to illegal purchasing of prescription medications on the internet". Officers also seized a number of items which were taken away for further examination. Mr Singleton added: "Offences of procurement of an abortion are outlined in Sections 58 & 59 of the Offences against the Person Act 1861 and Child Destruction Sect 25 (1) Criminal Justice (NI) Act. "These offences can reasonably be suspected in circumstances where persons order prescription medications which are known to be used or advertised as suitable for inducing an abortion." The officer also warned the public not to take any prescription drugs that have not been prescribed to them by their GP or other medical professional. "Consuming prescription drugs can potentially be very harmful and can result in developing serious complications if used without the appropriate medical supervision. "Many drugs purchased via the internet have not been produced in controlled, clinical laboratory conditions. Such products pose a real risk to health." Abortion providers, such as Marie Stopes and the British Pregnancy Advisory Service (BPAS), also advise against taking the pills without the involvement of health professionals. Within the last year, there have been at least three high-profile prosecution cases involving abortion drugs in Northern Ireland. In April 2016, a 21-year-old woman was given a suspended prison sentence for buying drugs online to induce a miscarriage. Belfast Crown Court was told she had been unable to raise enough money to travel to England for a termination. She was reported to police by her housemates after they found the foetus, which was between 10 and 12 weeks, in a bin at their home. In January 2017, another 21-year-old woman and a 22-year-old man accepted formal cautions for offences involving the abortion drugs Mifepristone and Misoprostol. A judge imposed a ban on identifying the woman due to the heightened risk of suicide from any publicity. In the third case, a mother accused of buying abortion pills online for her teenage daughter has been granted leave to seek a judicial review of the decision to prosecute her. In England, Scotland and Wales, abortion is widely available and can be carried out legally up to the 24-week limit. Beyond that limit, abortion can still be legal in cases where the mother's health is threatened or if there is a substantial risk the baby will have serious disabilities. However, the number of abortion pills bought online in Great Britain is increasing. Last month, it was reported that a total of 375 doses were intercepted in England, Scotland and Wales last year. That compares with 270 in 2015; 180 in 2014 and just five seizures in 2013.